Jack Frost puts his mark—an embellished snowflake—on this striped men’s scarf, stitched in the round in a tube for double the warmth and no wrong side. 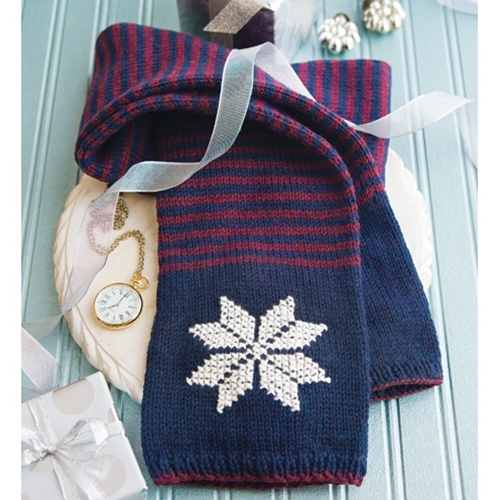 The snowflake is embroidered onto the finished knitted fabric in cross-stitch. 18 sts and 26 rnds to 4"/10cm over St st using size 8 (5mm) needles.